In the second book of the McBride trilogy, David enters the story having committed an egregious act that transgresses both moral and civil law. Left with no semblance of a normal life—his family, freedom, and humanity stripped away—he resigns to accept his fate and face whatever punishment is forthcoming. 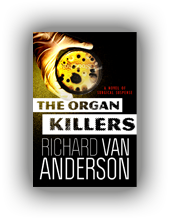 But, David McBride soon finds himself caught between opposing forces—a corporate spy representing a prominent Russian biotech firm, and a man trying to save his daughter’s life—who are battling for control of the organ fabrication technologies that are vital to the growth of human organs in the laboratory. 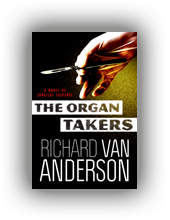 When I started writing The Organ Takers I envisioned it as a stand alone novel. I had no plans to write a follow up or turn the story into a series. However, at the end, David McBride was in such a dark place (an ending I did not foresee) that I felt I could not simply leave him there. I had to give him a chance to pick himself up and climb out of the black hole in which he had put himself, thus the inspiration for The Organ Growers. 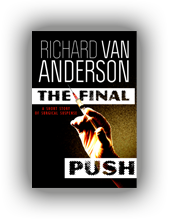 In this second book of what is now going to be a trilogy, David will be given the chance to redeem himself. He may not want redemption. In fact, at the beginning of the story, it is unclear what he wants, but in fiction as in real life, sometimes you get what you need, not what you want. In The Organ Takers I show you a lab full of organs that have been grown from porcine (pig) scaffolds and human stem cells. 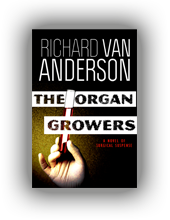 In The Organ Growers I take you through the process of growing a human kidney using human stem cells and a porcine kidney. 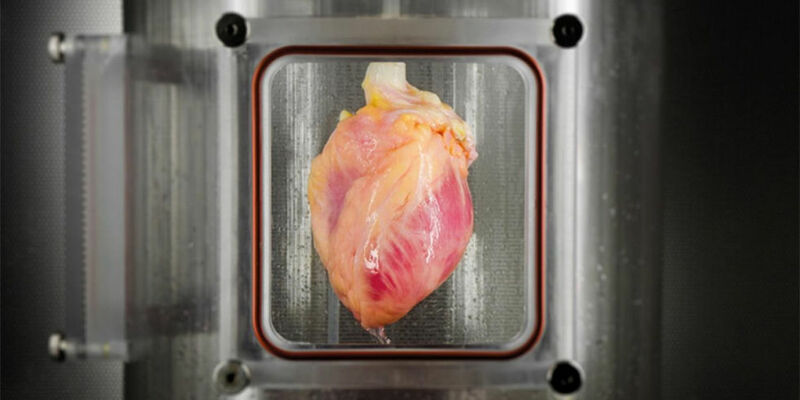 Can human organs really be grown in the lab, or is this science fiction? Watch the videos below to find out. As David McBride was being driven uptown, a jacked up, twin cab Ford Superduty smashed through the NuLife gate at 50mph, dragging a 12-foot section of hurricane fencing behind it as it barreled down the short stretch of road leading to the parking lot. Just before reaching the lot, the truck veered left, leaving the road and bashing through dead undergrowth, brush, and small trees. It pulled around the back of the building and stopped, its front end pointed toward the highway, the back end with its four-inch tubular steel wraparound bumper aimed at the side of the red brick building. The driver gunned the engine, slammed the truck into reverse, and stomped on the gas. About the time it hit 20mph the truck rammed the building, reducing the outside wall of Andrew Turnbull’s office to rubble. Four men wearing ski masks jumped out. While two of the men dug through busted up bricks and concrete, the other two waved P90s in the air, but the show of force wasn’t necessary. Before anyone inside the building could react, the men had found the safe and thrown it into the back of the truck. By the time they passed through the gate they had been on the grounds all of three minutes. The Ford Superduty pulled into a cavernous abandoned warehouse somewhere in the armpit of Newark and parked next to a black BMW 760Li. As the four men climbed from the crew cab, Mikhail Petrovsky motioned toward a steel workbench that had been positioned in the middle of the floor. The men hauled the safe from the bed of the truck to the bench, then climbed back in and drove out the far end of the warehouse. The bigger, taller Petrovsky glared down at the shorter, smaller Keating, then lit a cigarette. About twenty minutes later the robot safe dialer was up and running. The safecracker had fit a bracket around the dial. Centered in the bracket was a motorized arm, or shaft, with three pincers on the end that grasped the dialer. The safecracker had entered some information into a laptop, and, accompanied by a soft mechanical hum, the arm started turning the dial, back and forth, sometimes all the way around, at a much faster pace than a human hand could ever achieve. “What’s that thing doing?” Petrovsky asked. “Of course,” Petrovsky said. He lit another cigarette and blew a plume of smoke toward the rafters. Even though the safecracker looked like he should be unloading ships on the docks of Murmansk instead of finessing open a safe, he came highly recommended from the home office, and he seemed to know what he was doing. “How much longer?” Petrovsky asked. Thirty-two minutes later, an audible click signaled that the final tumbler had fallen into place. Petrovsky and Keating walked over to the table. Petrovsky did, and the safe opened. Inside was a stack of black-and-white marbled composition notebooks, the books he’d been trying to get his hands on for eight months. He lifted them out and set them on the table. Each book had a handwritten title corresponding to a specific organ—Lungs, Livers, Kidneys—or a certain aspect of technique—Nutrient Media, Progenitor Cells, Porcine Scaffold. Keating looked through the stack and thumbed through some of the pages. Keating spread out the books, reread all the titles, wiped his forehead with his shirtsleeve. “What do you mean?” Petrovsky said again, yelling this time, his voice echoing through the warehouse. The safecracker backed away from the table. Keating gripped the workbench and muttered something unintelligible. Petrovsky removed the gun, wiped the saliva off the barrel with one of the safecracker’s lint-free cloths, and slipped it back into his shoulder harness.